Edgar Snyder's advertisements often highlight the common contingent fee arrangement, where a client pays the lawyer's fee only if the attorney handles a case successfully. 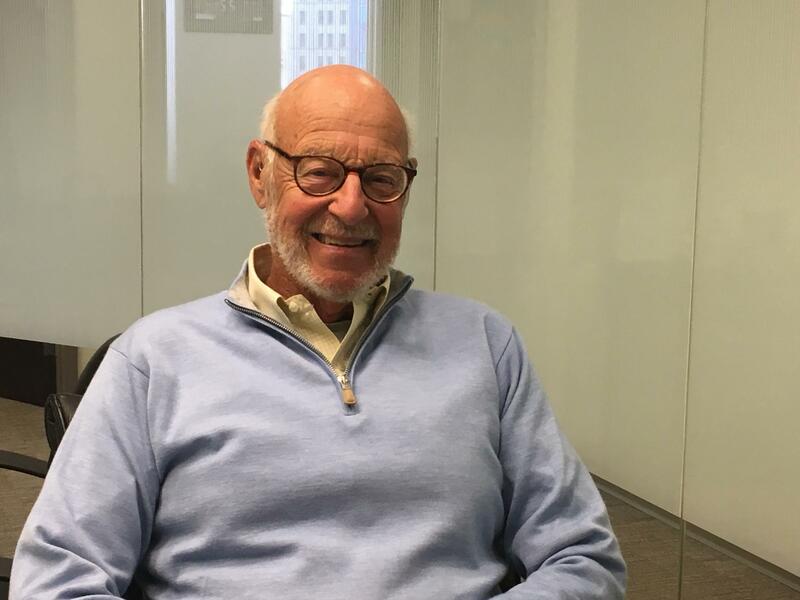 For 90.5 WESA's Built in PGH series, An-Li Herring reports that, while Edgar Snyder might be the region's most famous attorney, he is more of a businessman than a legal practitioner. While today this slogan might be emblazoned in the region’s collective consciousness, Snyder’s practice got a quiet start in the Mon Valley city of Duquesne. A public defender at the time, the attorney opened his first office in a storefront outside the gate of U.S. Steel Duquesne Works. He kept nighttime hours so that he could meet with mill workers whose shifts had ended. Then, in 1977, the U.S. Supreme Court struck down a ban on legal advertising. The legal community had long viewed the practice as unseemly, but the justices said it would increase access to legal services. Today, Edgar Snyder is a familiar face on billboards throughout western Pennsylvania. Snyder said he seized the opportunity, placing a “tombstone ad” in the now-defunct Pittsburgh Press. A small square in the newspaper, the ad offered to fight charges under a newly tightened DUI law. Still, Snyder said he faced scorn over the advertisements. The attorney largely ignored the criticism, however, and soon made the expensive leap to television. In-house marketing staff created the commercials and initially bought time in lower cost areas. Snyder said their mission was to make him, and Edgar Snyder & Associates, a brand in western Pennsylvania, known for being a trusted provider of legal services. Snyder said the investment soon paid off – perhaps too soon. Edger Snyder at his office in downtown Pittsburgh. Today, Edgar Snyder & Associates has 140 employees, with offices in Pittsburgh, Altoona, Erie and Johnstown. Snyder estimates the firm’s 36 attorneys take about a thousand new cases every year. He also made tactical decisions along the way. For example, as the firm’s caseload continued to rise, he hired claims adjusters to reduce errors attorneys might make in lawsuits against insurance companies. After about 10 years, however, the model became unworkable because, Snyder said, insurance companies started to fight more claims rather than make settlement payments. So, Snyder replaced the claims adjusters with attorneys. Edgar Snyder & Associates has since gone beyond personal injury cases and now represents workers claiming employment violations. But Snyder added that he doesn’t jump at every opportunity for more business. For instance, he said, his firm turns away several thousand cases a year, instead referring them to outside attorneys. “I found you can’t do everything,” said Snyder, who estimated he would need to hire 300 or 400 lawyers to handle all the cases his company receives. Snyder noted, however, that he once considered taking on medical malpractice cases. In one sense, the move would have been a natural extension of the firm’s personal injury portfolio. Indeed, the attorney estimated his staff gets 50 calls a week from patients alleging malpractice. He said his firm even ran a TV commercial in the early 1990s offering to represent such clients. The lawyer quickly abandoned the idea, recognizing that his firm relies on physicians to build its personal injury cases. “How are you going to have them testify to what happened to their clients when they’re angry at you [and] they think that you’re going to sue them?” Snyder asked. The now semi-retired attorney said it is that kind of decision that has allowed him to sustain his business while also allowing for growth. And he said he likes to think his brand will live on. On a street corner off Penn Avenue in East Liberty sits a large, unassuming gray building. It houses one of the most popular language learning programs of the digital age. You might recognize its logo: a green cartoon owl. Surrounded by stacks of paper, ink containers, and cardboard boxes, Denise Jones taps the top of a gray metal cutting machine. The ribbon has been cut on a mixed-use development in Squirrel Hill. Krause Commons was developed on the former site of Poli’s Restaurant, which closed in 2005.